A perfectly packaged skincare gift that would make a gorgeous present for Mother's Day! I have personally tried some of the products from this collection and they are fantastic for enhancing your natural radiance. All of the products also have fantastic natural anti aging, and skin plumping properties. A fun and very luxurious gift for any makeup loving mum! The Guerlain Meteorites Bubble blush comes in two shades perfect for spring, as well as having a gorgeous and comfortable cream texture. WOW! when I found this I knew I just had to include it. The Zodiac Compact is a translucent pressed powder, which helps to give the skin a luminous finish that minimises the look of lines and wrinkles. This is such a unique and special product that would be great for mums that like to collect, and especially for mums that love their star signs. I can definitely recommend this product, as I work at an Elemis spa and this new release is just beautiful. Elemis use the finest and most exquisite ingredients from around the world to replicate your own exotic spa experience. Key ingredients include Jasmine, White Lotus Flower, Argan Oil and Vitamin E! your skin will be left feeling soft and smooth making this another perfect option for this coming mother's day. Another for the makeup loving mums out there! The new Estee Lauder Double Wear BB is a fantastic way to get all the skincare benefits of a BB, but with the added coverage we wish all BB's had! A beautifully presented gift set and a perfect way to make your eyes pop. This would make a great gift, especially with the addition of the full size iconic Touche Eclat Forever Youth Liberator eye cream and a sample of the well loved baby doll mascara! This is also a great gift set to help hide pesky dark circles. A lovely little treat with some of Ted's favourite treats from his Orchind collection. I think this gift set would make a luxurious little treat that any mum would indulge in come bath time. For just £10.00 I think this gift is gorgeous! I have used the Rose hand cream before and I can honestly say it has such a beautiful and very delicate rose scent, plus its not greasy at all. The kit also includes cuticle cream and a file, which is perfect for mums that like to keep their hands in tip top condition. I hope this post has been useful for you lovelies, and if you have done a similar post then make sure you leave it down below for me to check out! Oh my word! That blush looks amazing! I'm certain my mummy would love to get that for mothers day! Mainly for making the dressing table look more presentable, haha! 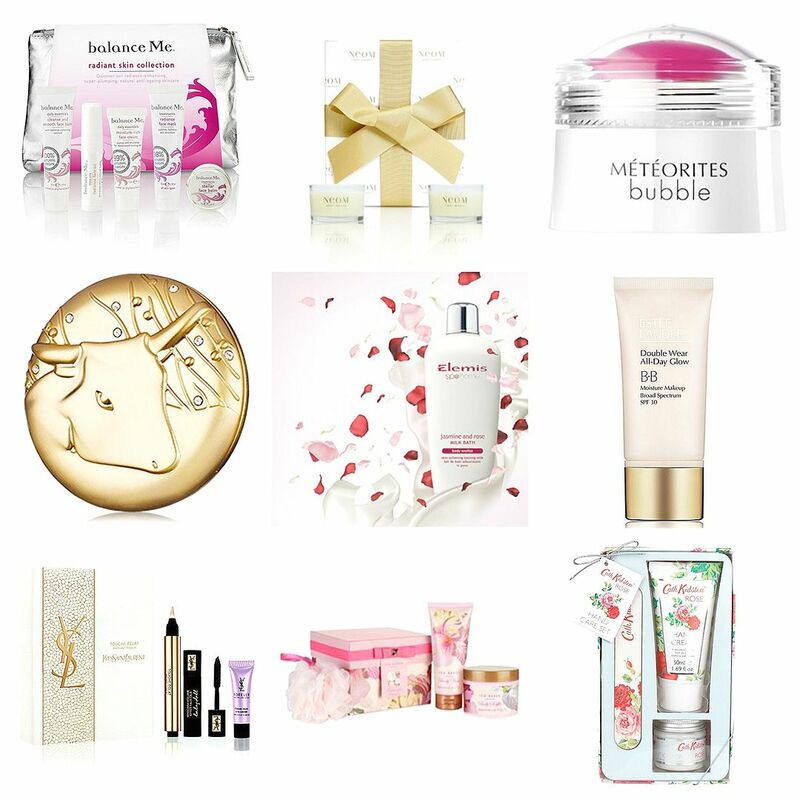 you really can't go wrong with beauty and pamper products for mother's day! We're definitely leaning towards something like the YSL set!